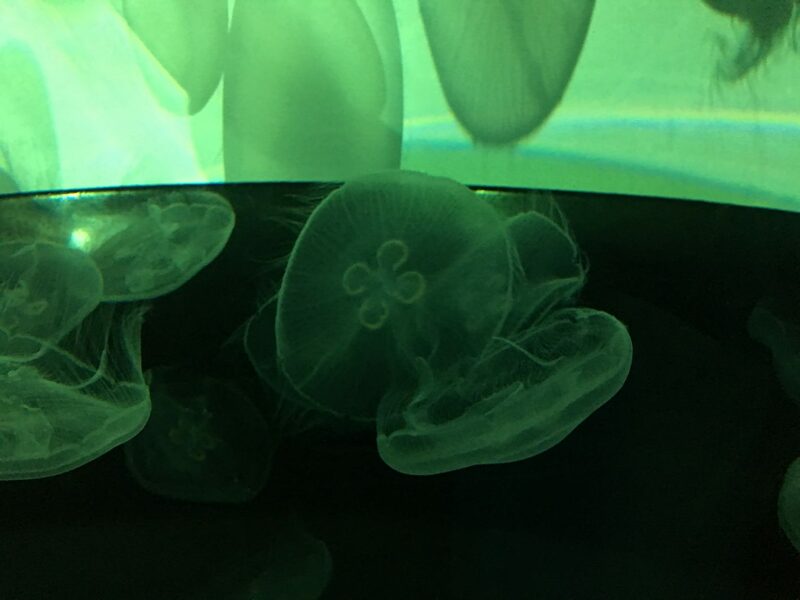 Orphek Reef Tour in Japan – Sumida Aquarium in Tokyo – Jellyfish, part II. 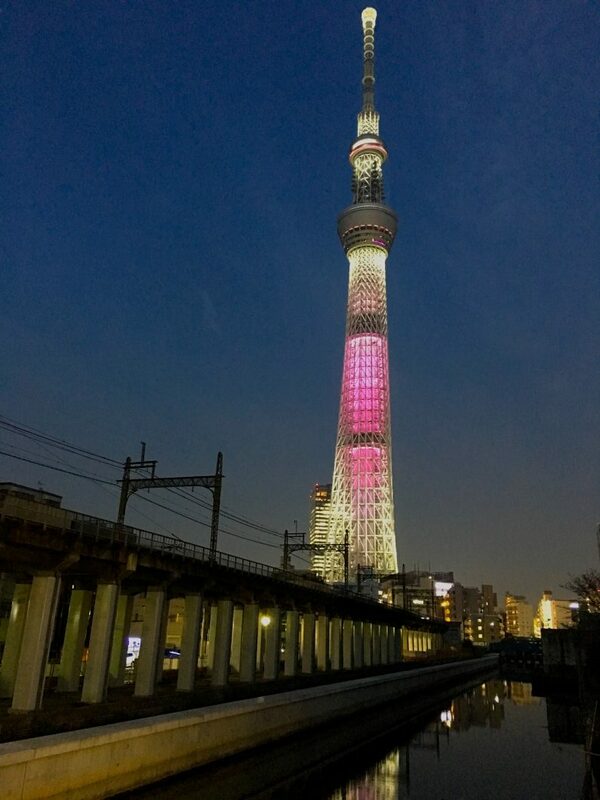 (If you did not read Orphek Reef Tour to Japan – Sumida Aquarium Part I click on the link to read now). 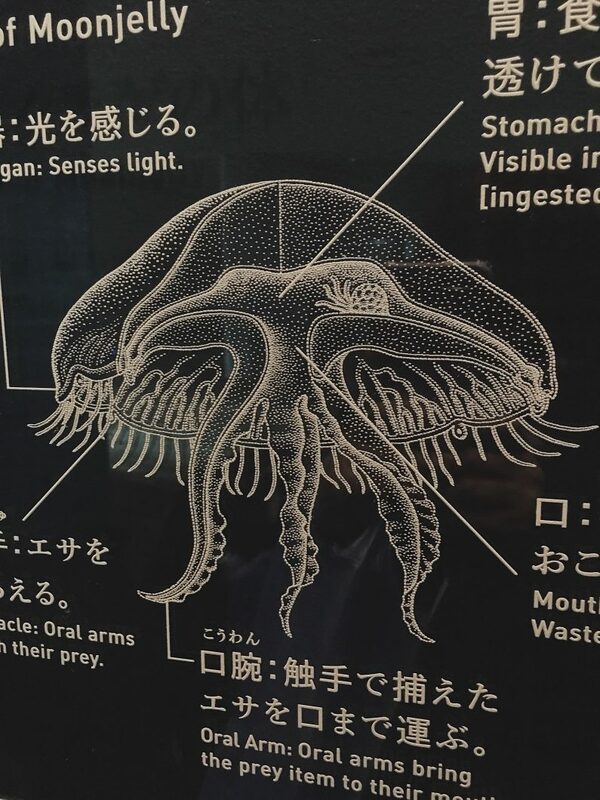 Continuing our visit inside the Sumida Aquarium we left the fresh water tanks to dive into the ocean in an area called Cradle of Life – memories of a water where we found the jellyfish. Jellyfish are believed to have remained unchanged for the past several 100 million years, with a beautiful other-worldly appearance evoking memories of the distant aquatic past. 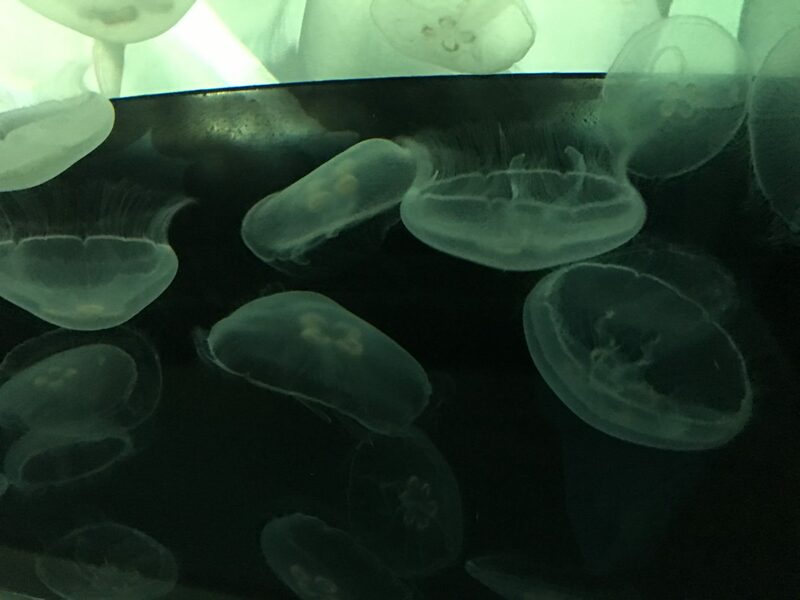 In the Sumida Aquarium there are tanks of all sizes with different species of jellyfish, from moonjelly, sea nettles and tiny tiny little dudes…and these gently pulsating creatures amazed and relaxed us in a very hypnotic way. After running from one side to another in Tokyo that was for sure a perfect way to end our busy day! Too bad that they did not have the giant stomophulus nomurai – a jellyfish that can weight as much as 150k. We were hoping to see one at least… These jellyfish invades the Japanese shores sometimes. 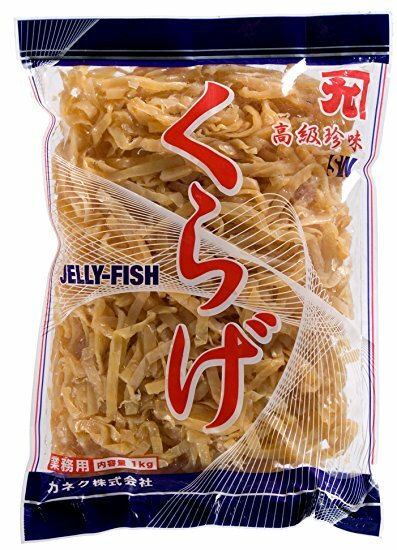 By the way, jellyfish is integrated in the eating habits of the Japanese. They were sold dried in every market we visited. 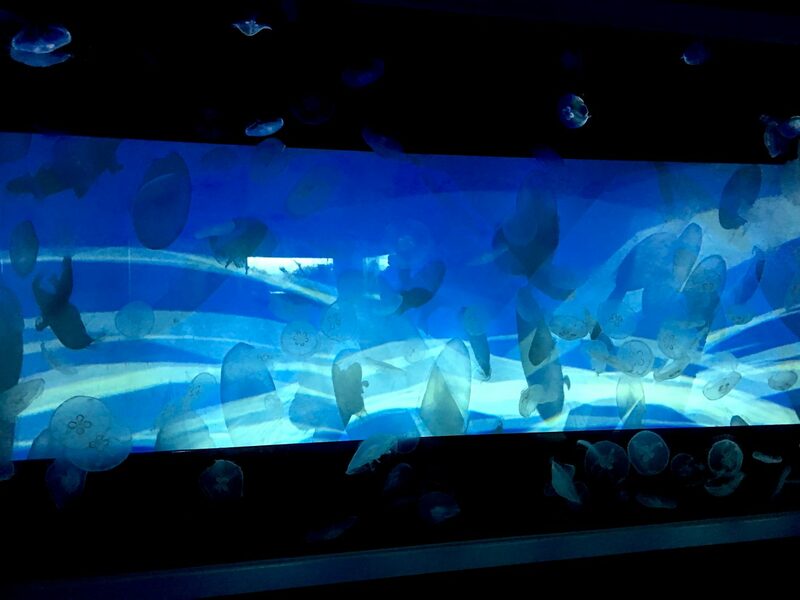 But we were mesmerized anyways by the beautifully displayed numerous jellyfish that were swimming as if floating in tanks of all sizes to create a spectacle that transported us into an extraordinary journey. 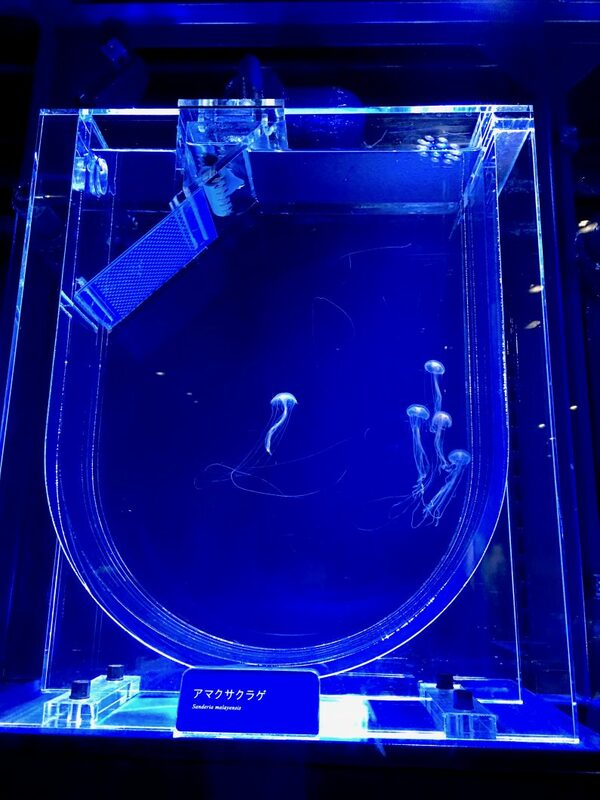 Sumida Aquarium has also set up a lab at three locations inside the building in order to bring visitors closer to aquatic life. At each lab, visitors can communicate in various ways with aquarium keeping staff, in addition to observing aquarium keepers at work, as well as aquarium keeping equipment and facilities. This experience offers visitors’ understanding of aquatic life and more ways to enjoy the aquarium. 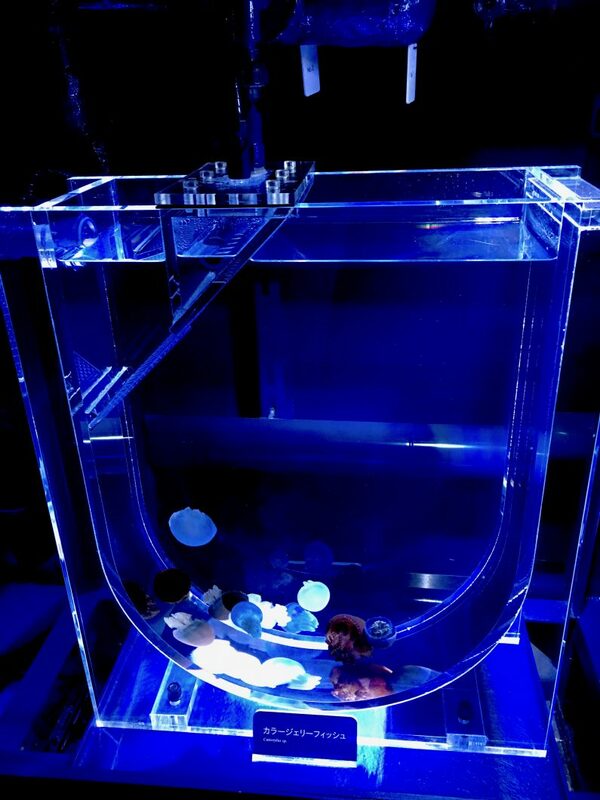 At the AQUA LAB visitors can observe each stage of the growth process of jellyfish at all phases of life. 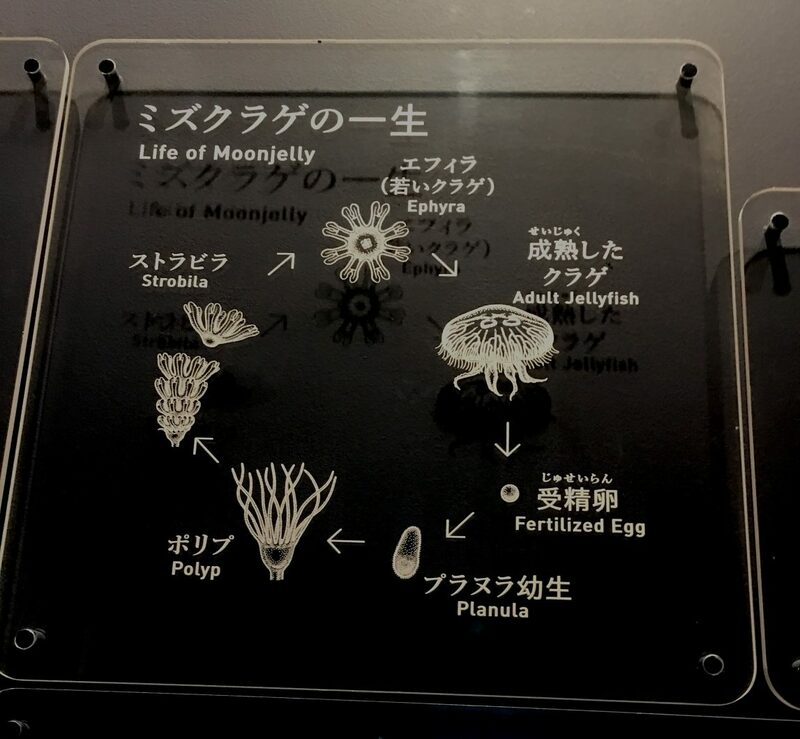 Explanations of the behavior of jellyfish and sea anemone are also provided. Unfortunately we did not get any explanation because we got to the aquarium one hour before closing so they were already cleaning and organizing it to close for the day. If you love jellyfish you will be thrilled to learn that our Atlantik V4 has a jellyfish mode developed to enhance their beauty and provide them a natural environment to grow safely. 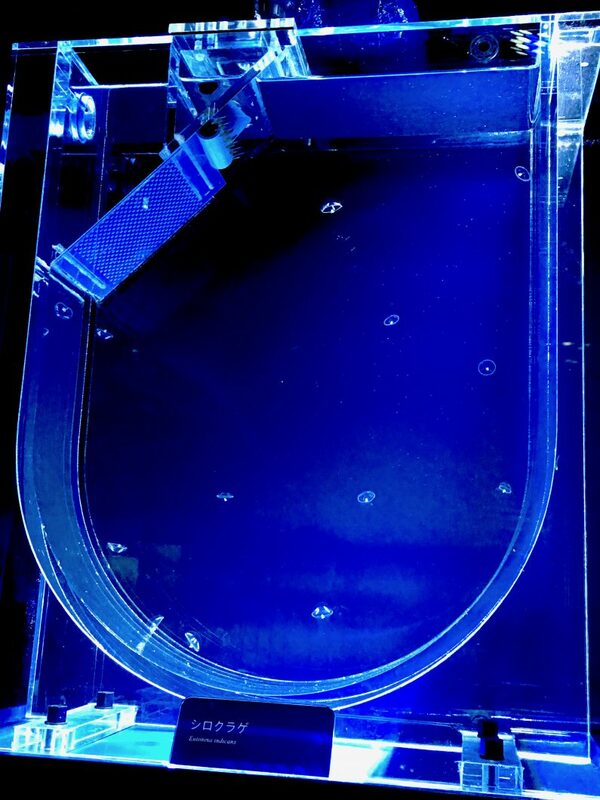 Orphek also offer a slim line that it is a perfect solution for jellyfish tanks. Please click here to know more about the product.